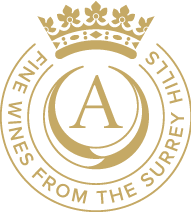 Surrey Hills Mead is a delicious 'wine' fermented from Albury Honey made by bees that live right here on the vineyard. Rich and floral with heady honey aromas, mead can be served chilled over ice, with a twist of lemon, or simply poured at room temperature to let the honey flavours shine through. Revered for its healing properties since ancient times, this time honoured tipple is the 'nectar of the gods' according to Celtic legend. During medieval wedding ceremonies, newlywed coupes were given enough of this golden liquid to last one full moon, to encourage fertility and vitality in their marriage, and ensure a child was born within a year, hence the term ﻿honeymoon.